Smoother contours, less to no cellulite, and a firmer skin tone that is supple and elastic – stop dreaming about what your body could look like and instead make it reality with Venus Freeze™ nonsurgical fat and cellulite removal! Skin Vitality Medical Clinic introduces advanced Venus Freeze™, a nonsurgical fat and cellulite reduction procedure in the Greater Toronto, Mississauga and Kitchener areas. We are the first provider of this advanced technology in Canada. You can now enjoy how it can improve your life, as it has done for other men and women in Europe, Asia, and South America for years. Reduce inches in problem areas, smooth away cellulite and firm up your skin. You can have the confidence of knowing that you look fantastic! Harnessing the remarkable power of multi polar radio frequency (RF) combined with pulsed magnetic fields, Venus Freeze™ has the ability to penetrate deeply into the skin, affecting multiple layers to achieve optimum results. Heat application is dispersed and homogenous, therefore treated skin is not harmed. The procedure is pain-free, comfortable and does not require any cooling gels or numbing cream. It’s also faster than other comparable treatments. You can see the great results from treatments for yourself in the before and after photos on this page! Why is Venus Freeze™ better? The technology behind Venus Freeze™ Nonsurgical Facial and Body Contouring is (MP)2. This fascinating technology is designed to actually correct the biological processes that bring about aging and break down unwanted fat cells for a smoother and more toned body contour that is less affected by wrinkles, lax skin, bulges, and cellulite. (MP)2 reverses the effects of aging in the skin by combining two things: Pulsed Magnetic fields & radio frequency (RF). Venus Freeze™ combines multi polar radio frequency (RF) with pulsed magnetic fields to remodel the skin by promoting the synthesis of collagen and elastin while also facilitating the production fo FGF-2 (a growth hormone). Doing all of this promotes blood circulation and the creation of new, healthier skin that is more supple, smoother and toned. The (MP)2 technology of Venus Freeze™ can help you reduce inches in problem areas without surgery. The technology increases the temperature of targeted tissue. This not only enhances the activity of your hormones, it also breaks down triglycerides that are located in fat cells, transforming them into glycerol and free fatty acids. Free fatty acids are then released into your blood stream so that you experience a significant reduction in the volume of your fat cells. The overall result is less fat, less cellulite, and a better body contour! Venus Freeze™ technology offers patients a fantastic method for improving their skin while reducing fat — but how does it work? To understand the Venus Freeze™ system — and what it can do for patients that want a better body without invasive surgery — it’s best to start by looking at the system’s effect on fat cells. How Does Venus Freeze™ Affect a Fat Cell? The primary reason for Venus Freeze™’s incredible success is its unique (MP)2 system. (MP)2 works by combining both bi-polar radio frequency (RF) with magnetic pulses into a synergistic system that effectively targets and addresses a patient’s problem areas in a number of different ways.The (MP)2 energy of Venus Freeze™ increases the temperature of skin tissue, something that works to fix body issues on a cellular level. An effected fat cell, while targeted by the system, begins to break down triglycerides into glycerol and free fatty acids while hormonal activity is also increased. Once triglycerides have been converted through this process the free fatty acids are able to leave the fat cell and be released into the blood stream. The end effect is that Venus Freeze™ drastically reduces the volume of fat cells. Without their presence, cellulite is smoothed and body circumference is noticeably reduced. (MP)2 also works on other, non-fat cells to stimulate collegen and elastin synthesis and trigger various effects that improve blood circulation and decrease subcutaneous fat mass. All of this works to better the appearance of the skin itself while also working to reduce unsightly cellulite. The benefits of Venus Freeze™ ultimately add up to the obvious benefits of a slimmer and healthier appearance. Before and after Venus Freeze treatment for the stomach. Notice that her stomach doesn’t stick out anymore. If you want to avoid surgical procedures like liposuction but still want to get rid of fat and cellulite, then this type of non-invasive radiofrequency body contouring technology may be right for you. Unlike liposuction, Venus Freeze™ treats cellulite and skin laxity, making it more helpful in resolving these aesthetic concerns. Venus Freeze™ is not suitable for women who are pregnant. It is also not suitable if you have any inflammation, infection or cancerous lesions in the area to be treated. Venus Freeze™ is one of cosmetic medicine’s most effective tools for the elimination of cellulite and stubborn fat pockets. By using advanced contouring technology, Venus Freeze™ is able to destroy fat cells, smooth surface layers of fat and lead patients toward a trimmer and healthier appearance. The fat cells destroyed by the treatment permanently disappear. However, if you want to continue to look great, it’s important to take a few steps in order to get the most out of Venus Freeze™ treatment. That’s why, in cooperation with our doctor on staff, we’ve listed five of the best methods for maintaining the benefits of your procedure. Dr. Ordon’s Venus Freeze™ Treatment, one of 10 summer health habits to keep year round. The Doctors TV Show, Season 5. Summer may be swimsuit season, but who doesn’t want a bikini-ready body year round? Everything you need to know about what to do before and after your Venus Freeze™ procedure will be outlined with you. Make sure that you follow any post-treatment advice in order to get the best possible results. It’s also important to be patient and wait for the results of your treatment to appear. The results of Venus Freeze™ treatments can take a small amount of time to become noticeable. By following instructions and being mindful of our other selection of tips you can be sure that your treatment yields optimal benefits. Part of keeping cellulite and excess pockets of fat off for good is making sure that you maintain healthy eating habits. 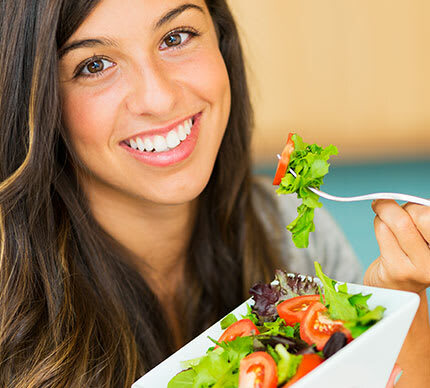 Aside from an otherwise balanced diet, an emphasis on water-based foods can work to flush excess toxins and increase the benefits of your Venus Freeze™ treatment. You can’t enjoy the benefits of Venus Freeze™ if you put on weight after the treatment. That’s why it’s important to both eat well (as mentioned above) and stick to a regular exercise schedule. After fat cells in the targeted area have begun to break down you can help eliminate them quickly by raising your metabolism and increasing circulation. Anything that helps you to sweat is a good idea. Cardio-centred workouts and even trips to the sauna can facilitate this process. Both before and after your treatment, regularly drinking water is encouraged. Just as old cells are more quickly replaced through sweating, your body’s natural regeneration systems can also be accelerated through ample hydration. This allows your body to process the destroyed fat cells more easily, and eliminate them from your body. 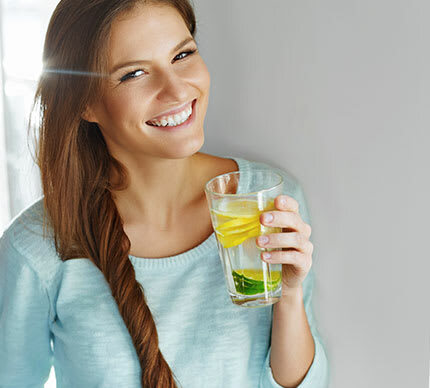 Drinking water also helps you to avoid any bloating and swelling so that you can see your results better. Follow-up treatments are required to ensure that you’re able to maintain the results of your initial Venus Freeze™ treatment. Be sure to listen to advice and adhere to any maintenance schedule suggested in order to achieve optimal results. 1. Are the treatments worth it? We’ve talked to our patients and the overwhelming answer to this question is yes! The comments and feedback from our patients is very positive. Venus Freeze™ can reshape your body without surgery, and it’s more effective at eliminating cellulite than lipo. That’s why it’s worth it. 2. How does Venus Freeze™ change my body? Once fat cells have been broken down and reduced in volume, a patient treated by Venus Freeze™ will see a measurable reduction in their body size along with a general improvement in skin tone and texture. Aside from the breakdown of fat cells, (MP)2 energy also works to treat cellulite and allow the skin’s natural systems to work at their best. Fat cell alteration, the main reason why so many patients seek out Venus Freeze™ treatment, creates some of the most noticeable changes however. Once fat cells have been broken down, made smaller in volume and dispersed into the blood stream, a slimmer look is quickly achieved. Even though the Venus Freeze™ procedure doesn’t require any actual surgery its results equal those of more invasive and painful treatment options. 3. I have super sensitive skin. Will this make my skin red? Even skin that is the most sensitive won’t be left looking like a lobster. Your skin might get a little pinker, but it won’t be red. No, the procedure does not hurt. Most patients find it quite relaxing, as a matter of fact. It is warm and soothing. Many patients are surprised that they’re actually fighting fat and firming up their skin in their treatment because it’s so comfortable. 5. Will I need anesthesia? Because there is no pain felt during the treatments, you won’t need any type of anesthesia — even numbing cream! The number of sessions varies on the area being treated. This is something that one of our certified Medical Aestheticians and Medical Consultants will recommend for you during your initial complimentary consultation. Results are apparent after a single treatment, although you may need up to 10 spaced over several months for optimal results. Each session takes under an hour or more, depending on the number of areas treated. Each area generally takes up to 30 minutes to treat. Before and after Venus Freeze treatment for the stomach. Notice the firmer, flatter contour. Painless Venus Freeze™ is featured on the Rachael Ray Show. Venus Freeze™ is the first and only non-invasive and pain-free treatment for body contouring, cellulite reduction, wrinkle reduction and skin tightening for the face, neck and body. It is a risk free treatment that does not harm the skin and is suitable for both male and females of all skin types. It’s made quite a buzz in the cosmetic medical community!